Leaning way out in front of the boat for this shot it was just like I was swimming with dolphins. 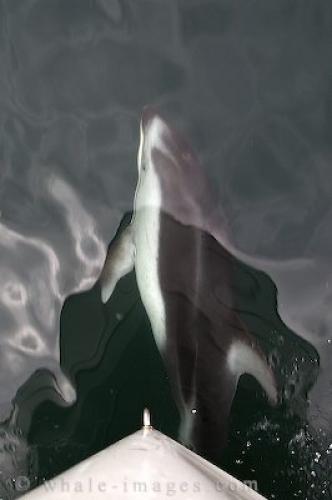 This picture shows the dolphin looking at me as he catches a ride on the bow wake of the boat. He was virtually effortlessly being pushed along and made a few jumps in front of the camera. The was a truly enjoyable chance at swimming with dolphins without getting wet!